Then the grocery store had shrimp on sale so I picked some up and set out to find a different recipe to make with them. This happened to appear in my search and I decided it was finally time to give in and see what all of the fuss was about with these shrimp. 1. Combine mayonnaise, chili sauce and Sriracha together into a bowl until well mixed. 2. Pat the shrimp dry and then toss in a large bowl with cornstarch until they are lightly coated. 3. Heat the canola oil in a large skillet over high heat. 4. Add the shrimp and cook, tossing frequently for 2-3 minutes or until shrimp are cooked through. 5. Remove shrimp from skillet and toss in the prepared sauce. I…don’t get it. 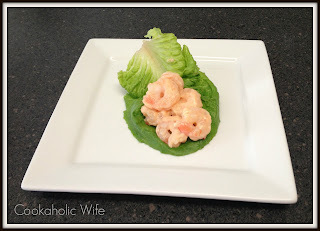 The reviews on this recipe praise it to high heaven so it must be the correct measurements, but my shrimp were swimming in the sauce that tasted like mayo with a teensy bit of flavor. I think the recipe definitely has potential though and I wouldn’t mind trying it with half the mayonnaise and increasing the heat quite a bit. Also, love the sweet and spicy flavours in this shrimp recipe! As always, love the recipes you come up with! Well, that definitely explains it. Frying them sounds much tastier.